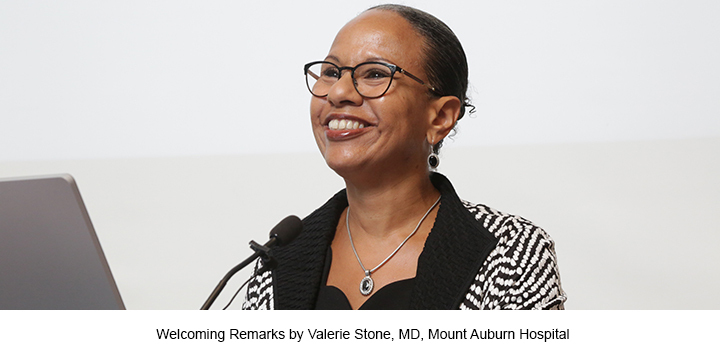 The Office for Diversity Inclusion and Community Partnership, in collaboration with the Harvard-affiliated hospitals, hosted the fifth annual Harvard Affiliated Residency Programs Showcase on September 8, 2018 in the Tosteson Medical Education Center (TMEC) at Harvard Medical School (HMS). As an expansion of the HMS Visiting Clerkship Program, this event provided URiM medical students in their 3rd or 4th year from the New England region as well as other states with an opportunity to meet and network with Harvard affiliated residency program training directors, attending physicians, fellows and residents. It was expected that the participating students would learn more about the residency programs that are offered here at HMS affiliated hospitals through this interactive and informal setting. Through our vigorous recruiting effort approximately 265 URiM medical students registered and more than 100 faculty, trainees and residents of HMS affiliated training programs participated in the Showcase. The Showcase program began with brief welcome remarks given by Harvard Medical School Office for Diversity Inclusion and Community Partnership and Harvard affiliated teaching hospitals. The welcome remarks were followed by two panel discussions: Resident Panel Discussion; 2) Residency Program Directors Panel Discussion. Participating students also had an opportunity to interact with representatives at the hospital exhibit tables. The Showcase ended with the specialty group discussions/networking with faculty, fellows and residents. Specialty groups included Anesthesiology, Dermatology, Emergency Medicine, Internal Medicine, Neurology, Pediatrics, Obstetrics & Gynecology, Ophthalmology, Orthopedics, Surgery, Physical Medicine & Rehabilitation, Psychiatry, Radiation Oncology, and Radiology. The responses from both the hospital training programs and participating students were positive and both groups expressed an interest in attending a similar program in 2019.